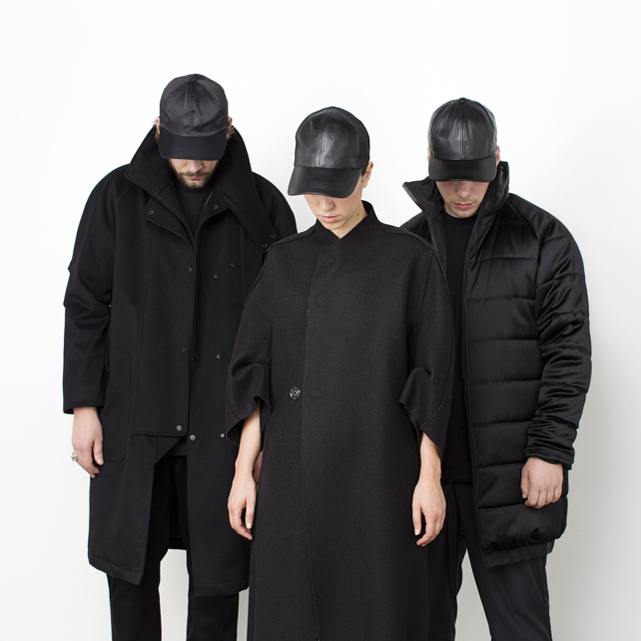 Swedish synth-pop trio Kate Boy have been touring relentlessly since the release of their hook-heavy Northern Lights EP in 2013, and their motivations have morphed on the road. Backstage before the group’s set at Electronic Beats Festival Podgorica, what began as a whimsical quiz on their favorite tour spots bled into a heart-on-sleeve mission statement. In the 1960s and ’70s, media theorist Marshall McLuhan predicted that the advance of communications technology woudl turn the world into a “global village” with more person-to-person empathy and responsibility. However, Kate Boy fear that our compassion for one another has not flowered in the way McLuhan hoped. Their new work seeks to reconcile their musical practice with the humanitarian issues that stir them in an attempt to speak more potently to the many different cultures they have encountered through their performances. We love places which are a bit twisted, a bit weird, and a bit fun. 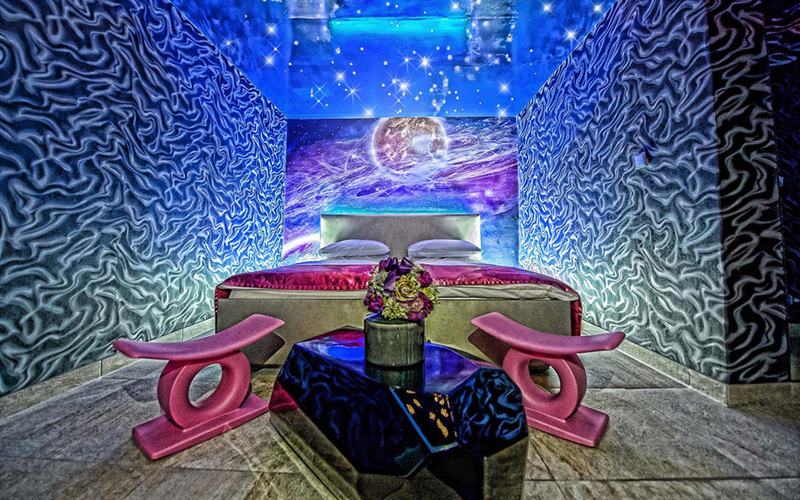 At Hotel Urania in Vienna, you feel like you’ve entered a completely different dimension. Everything is kind of old, but the mix of the people working there is so weird—you’ll be standing in reception and realize that someone’s been breathing down your neck for ten minutes waiting for you to say something. The walls are covered with art from every religion you could ever think of and there are birds in cages everywhere. You’ll hear a piano coming from somewhere, and walk in to the room and there’ll be nobody playing it. The guy checking you in is wearing this butcher’s apron. The cool thing was that it felt authentic—the owners were just genuinely wacky people. Razzmatazz in Barcelona. It’s got a great sound system: the onstage monitors for the musicians match the quality you’d usually have for the audience. It’s just extremely good design. It’s a big club venue, about 1,000, which feels big enough for a good quality of sound but small enough to feel intimate. We also should mention La Machine in Paris – those guys know how to party. We played there on Halloween and everyone was naked, bodypainted red as devils, covered in glitter and throwing out candy. Still to this day all of our cables are covered in red glitter! Every time we’ve toured the States, we always arrive in New York first, so we get off the plane from Sweden and have a day off. 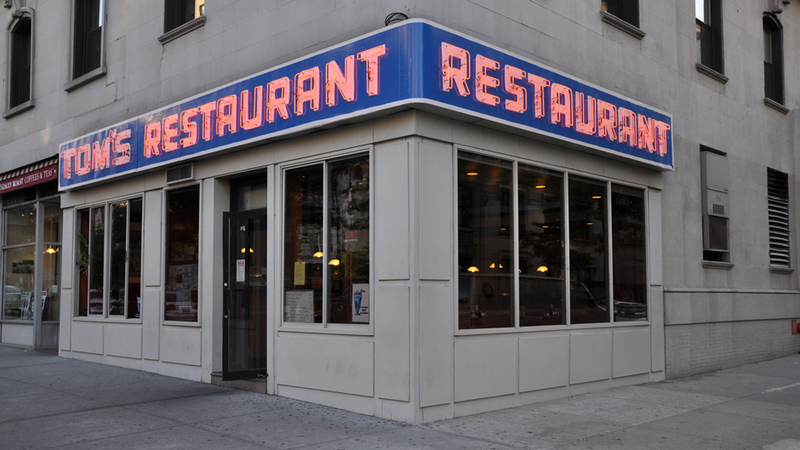 We’re obsessed with Seinfeld, so we visit Tom’s Restaurant [the famous diner from Seinfeld]. It’s pretty surreal when you’re a fan. In Berlin, too, we have our tourist-y routine of getting a kebab from Mustafa’s and going to Tempelhof, which has hugely inspired us. 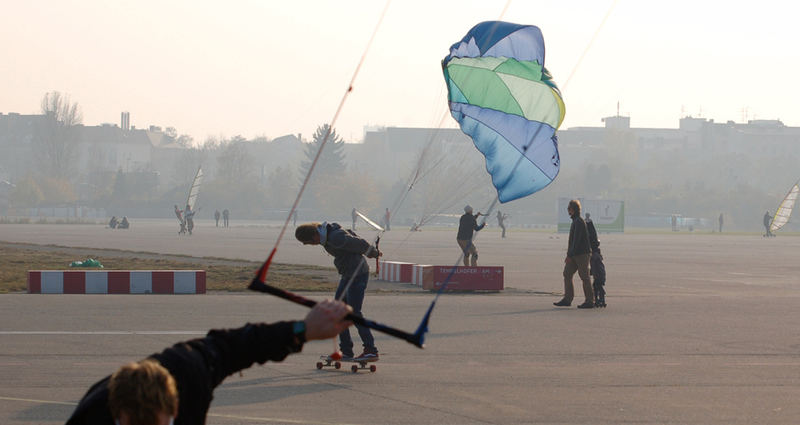 There’s a track in our new set called “Tempelhof,” and every time we play it, we imagine the kite surfers. 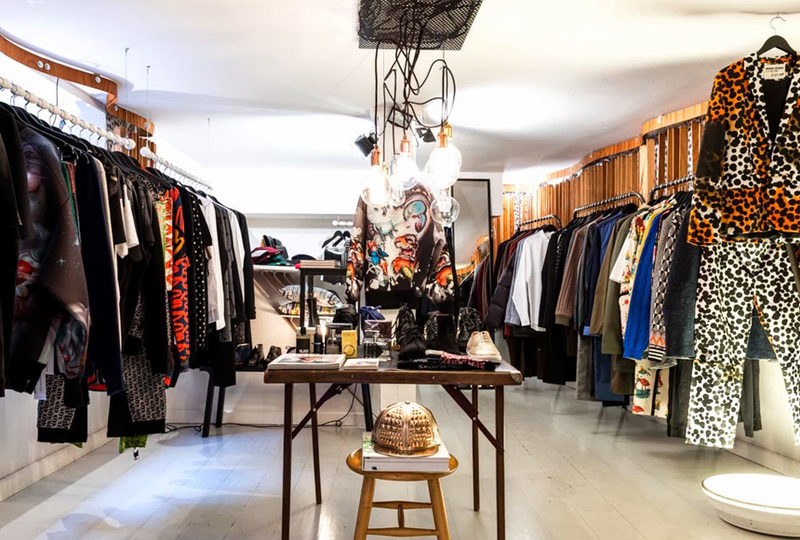 It feels like Tempelhof represents that human beauty and positivity wins in the end—if you leave anything long enough, good things will settle. How has touring affected your mentality as a group? It’s quite primitive, actually. We had this vision of making music partly so that we could travel and experience the world. At a certain point, you’re there experiencing the world, so is that it? What’s next? It feels quite egotistical of us just to experience these things for ourselves, so what can we do with that? We have a theme in our upcoming album—we’ve tied everything together with four words. One is “human,” one is “equal,” the other is “evolve,” and the last is “one.” We came together and called ourselves Kate Boy because it’s not about men and women, or pigeonholing; it’s about all being together and on one level. We all evolve from being human and changing. What we thought three years ago isn’t what we think now. We changed. What are the things that you’re trying to talk about on the new record, aside from simply making effective club music? When we were writing the album, so many things were going on. The Olympics were on, and we were talking a lot about gay marriage. Every day, we would come into the studio, and there’d be another thing that would make us upset and inspire us. In Sweden, a lot of people have been looking into feminism over the last few years—there’s a party growing quite rapidly, and everybody’s talking about it. We’ve been naive in thinking that the more people meet one another, the smaller the world becomes because communication has become more efficient. That’s either because of cheaper flights or the Internet—the more people meet, the more accepting they should be of each other. But when you see these things happening, you see that it’s going in a different direction, and you can’t just let everything settle on its own and hope that it’s going to turn out well. And we’re just sitting there in the studio making music to get a good feeling from it. You hear about all these organizations striving every day to change stuff for the better, and you go, “Can we somehow contribute in any way by making music?” By bringing these messages through and trying to connect with people about something we really care about, it makes performing night after night to different people from different cultures and different countries so fulfilling for us. After we finished our chat with Kate Boy, they hit the stage for a powerhouse performance, which you can watch right here.